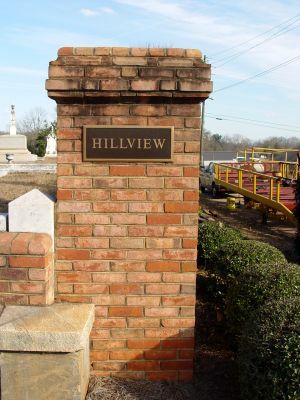 ﻿Hill View Cemetery is located on New Franklin Road (US 27) in LaGrange, GA. This is a very large cemetery covering several acres with at least 10,000 graves. Photo used with permission, courtesy of Evening Blues, www.findagrave.com, 6/7/2009.